Sol, Ted Miguel, and I have a new paper out in Nature that looks at at how past and future temperature changes might affect global economic output. In particular, we study the historical relationship between temperature and country-level output with an eye for potential non-linearities in the macro data (which have cropped up everywhere in the micro literature). We then combine historical results with global climate model estimates of future warming to come up with some projections of the potential future impacts of warming. We wrap up by trying to compare our damage estimates to the damage functions currently in the Integrated Assessment Models (IAMs). We get some big numbers. Looking historically, we see that output in both rich and poor countries alike has been shaped by changes in temperature, and that temperature appears to affect growth rate of per capita GDP and not just the level of GDP (which matters a whole lot when you do the projections). Importantly, we don't see big differences between rich and poor countries in how they respond to changes in temperature historically. Differences we do see across countries appear driven more by countries' average temperatures than by their average incomes, with cooler countries growing faster on average during yeas that are warmer-than average for them, and hotter countries growing slower. This non-linear response peaks at an annual average temperature of around 13C which just so happens to be the annual average temperature of both Palo Alto and New York City. (For the naysayers: There is nothing mechanical in this fact; we can drop the US from the country-level regressions and we get the same optimum of 13C). The effect of temperature on growth rates is pretty flat around this peak, but gets pretty steep as you move away from the optimum in either direction. We find that for really hot or really cold countries, +1C changes in annual temperature have historically moved growth rates up (for cold countries) or down (for hot countries) by a percentage point -- i.e. a hot country goes from growing at 2% per year to 1% a year. That is a big number. And for poor countries, it's basically what was shown in the seminal Dell, Jones, Olken piece from a few years ago. The big difference is we see a lot more action in the richer, cooler countries than DJO found in their earlier paper -- a difference we spend a lot of time exploring in the supplement to our paper. We then run the world forward under a RCP8.5, a business-as-usual emissions scenario that makes the world pretty hot by end of century (+4.3C is the population-weighted projected temperature increase under RCP8.5 by 2100 that we pull off the models). Doing this requires three pieces of data, as we describe here [after clicking on a country, scroll down to the "how do we arrive at these numbers" section]. Cool high-latitude countries warm up a bunch (much more than global average) and so could stand to benefit substantially from climate change -- recall the +1%/C marginal effect from above. Countries at or beyond the optimum are harmed, and increasingly so as the temperature heats up. Globally, we find that under RCP8.5, the global economy could be more than 20% smaller by 2100 than it would have been had temperatures remained fixed at today's values. This does not mean that the world will be poorer in 2100. It almost certainly will not. It means that it will be less rich than it would have been had temperatures not warmed. Importantly, our estimates mechanically do not include the potential future effects of stuff we have not observed historically (e.g. sea level rise), nor do they contain non-marketed things we care about that do not show up in GDP (e.g. polar bears). We built a little website to take people through the paper and let people play with the country-level results. We've posted all our data and replication code, and would love people to show us where we went wrong. 1. These results just don't pass the "sniff test" [Alternate version: Your impacts are too big, and they just can't be true]. As far as I can tell, "this doesn't pass the sniff test" is just a snarky way of saying, "this disagrees strongly with what I thought I knew about the world, and I am uninterested in updating that view". For those still deciding whether or not to update their views, it seems worthwhile to explicitly lay out the key assumptions in our projection exercise, and then be explicit about why these might or might not be good assumptions. Assumptions about how much future climate might change. Our only assumption here is that the CMIP5 ensemble is in the ballpark for RCP8.5. But that doesn't really matter that much either, since we can calculate impacts under any amount of warming you want (see Figure 5d). But people seem less worried about this one anyway. The assumption that historical responses will be a good guide for understanding future responses. This is a key one for most folks, and you can see at least two reasons to be uneasy with this assumption. First, (3a) that our historical estimates are derived from year-to-year variation in temperature, which is potentially hard for agents to anticipate and respond to, whereas future climate change will be a slower-moving, more-predictable, more-anticipate-able shift. Second, (3b) that there is no way that economies 50 or 85 years from now will look like today's economies, and we can't reasonably expect them to respond similarly. We return to (3a) below. Claim (3b) you hear a lot, and on some level has to be true: we have no idea what economies are going to look like in 2100 (I'm still trying to figure out what Snapchat is...). However, what we do have is the experiment over the last 50 years of being able to look at countries at very different points in the development process, and study how both the really advanced ones and the really poor ones respond to environmental change. 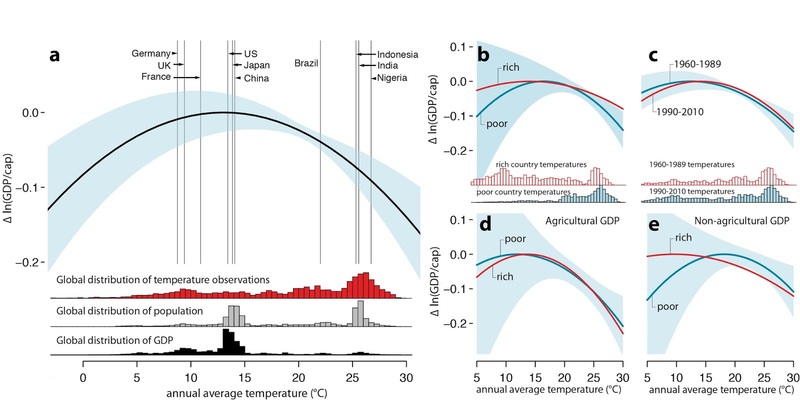 And from our vantage point, the news is just not that good: sensitivity to temperature fluctuations has not changed over time (Fig 2c in the paper, reproduced below), and rich countries appear only marginally less sensitive -- if at all -- than poor countries (Fig 2b and like half of the supplement). This latter result, as we highlight in the paper, is very consistent with a crap-ton (technical term) of micro-level studies from rich countries -- e.g. see Sol and Tatyana's nice paper on the US. Even incredibly technologically advance countries, and advanced sectors within those countries, are hurt by higher temperatures. 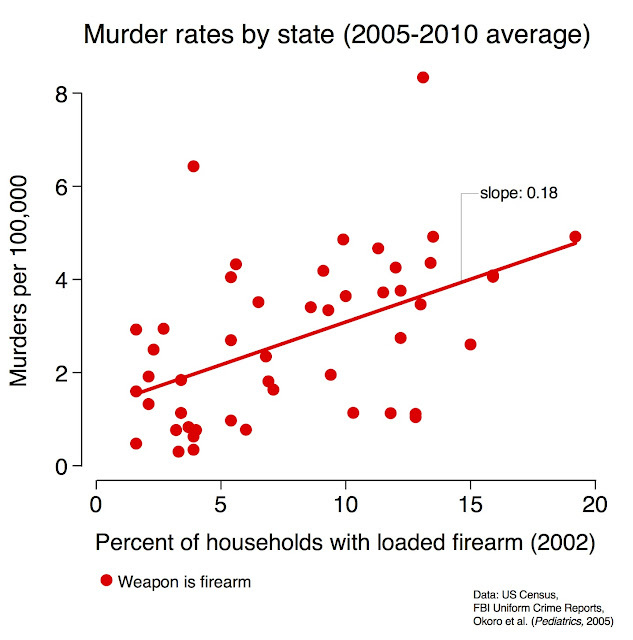 I just don't see how you can look at these data and be sanguine about our ability to adapt. Effect of annual average temperature on economic production. a, Global non-linear relationship between annual average temperature and change in log gross domestic product (GDP) per capita (thick black line, relative to optimum) during 1960–2010 with 90% confidence interval (blue, clustered by country, N= 6,584). Model includes country fixed effects, flexible trends, and precipitation controls. Vertical lines indicate average temperature for selected countries. Histograms show global distribution of temperature exposure (red), population (grey), and income (black). b, Comparing rich (above median, red) and poor (below median, blue) countries. Blue shaded region is 90% confidence interval for poor countries. Histograms show distribution of country–year observations. c, Same as b but for early (1960– 1989) and late (1990–2010) subsamples (all countries). d, Same as b but for agricultural income. e, Same as b but for non-agricultural income. So, yes, the future world might look different than the current world. But saying that is a cop-out, unless you can tell a convincing story as to exactly why the future is going to look so different than the past. Our guess is that you are going to have a hard time telling that story with an appeal to the historical record. 2. You're studying weather, not climate. An old saw. In fact, at every single conference related to the economics of climate change that I have ever been to, if 5 minutes passed without someone mentioning weather-versus-climate, then with probability 1 someone else would smirk-ingly mention that it had been at least 5 min since someone mentioned weather-versus-climate. Joking aside, this is still a really important concern. 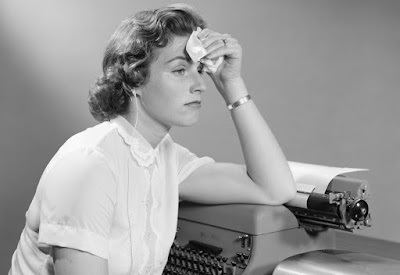 The worry, already stated above, is that our historical estimates are derived from year-to-year variation in temperature ("weather"), which is potentially hard for agents to anticipate and respond to, whereas "climate" change will be a slower-moving, more-predictable, more-anticipate-able shift. Whether people respond differently to short- versus longer-run changes in temperature is an empirical question, and one that is often tricky to get a handle on in the data. Kyle Emerick and I have looked at this some in US agriculture, and we find that responses to slow-moving, multi-decadal changes in temperature don't look very different from responses to "weather" (see earlier blog here) -- hot temperatures are bad whether they show up unexpectedly in one year or whether you're exposed to them a little bit more year after year. Now whether this result in US agriculture extrapolates to aggregate country-level output in the US or anywhere else is unknown, and to us a key area for future work. But again, just claiming that responses derived from studying "weather" are a bad guide to understanding "climate" is not that satisfactory. Show us how long-run responses are going to be different. 3. All you're picking up is spurious time trends. This one is annoying. Please read the paper carefully, and please look at Extended Data Table 1 in the paper (conveniently packaged with the main pdf, so there is no excuse!). Countries have been getting richer over time, on average, and the world has also been warming over time, on average. But since all sorts of other crap has been trending over time as well, it's clearly going to be hard to correctly identify the impact of temperature on economic output just by studying trends over time. So you have to deal with trends somehow. So we try all sorts of combinations of year- or continent-year fixed effects, and/or linear or non-linear country time trends, to try to see how things hold up under different approaches to taking out both common shocks (the year FE) and trending stuff. If you're worried about "dynamic effects", we also control in some specifications for multiple lags of the dependent variable. It doesn't end up mattering too much. As shown in Extended Data Table 1, we still get a similar looking non-linear response no matter the model. [And, to be clear for the time series folks, our LHS is differences in log income, not log income]. If you still think we messed this up, then download our data and show us. The onus is on you at this point, and just making claims about the potential for spurious trends does a disservice to the debate. 4. Who funded you? The fact that I'm now getting these unsigned emails from anonymous gmail addresses I think means we did something right. I am mainly funded by Stanford University, who pays my salary. We had some project support from a $50k grant from the Stanford Institute for Innovation in Developing Economies. And I thank the Stanford Institute on Economic Policy Research for giving me a place to sit last year while this paper got written. Sol and Ted both work at Berkeley, so are paid by that fine institution, but neither received additional project support for this work from anyone. [Edit 11/23/2015: Sol adds more on his situation here]. 5. [Added Oct 27]. You do not account of the effects of development. Or, verbatim from Richard Tol, "Although Burke and co notice that poorer countries are more vulnerable to climate change, they did not think to adjust their future projections for future development". Richard, please please read the paper before blogging this sort of stuff. This is EXACTLY what we do in Figure 5 panels b and d. "Differentiated response" means that rich and poor countries are allowed to respond differently, per Figure 2b, and that poor countries "graduate" to the rich-country response function in the future if their income rises above the historical median income. This does reduce the global projected impacts from -23% to -15% (see Fig 5b and Extended Data table 3) -- a meaningful difference, to be sure. But -15% is still about a factor of 5 larger than what's in any IAM. Paul Krugman doesn't typically write about food, so I was a little surprised to see this. Still, I think he got most things right, at least by my way of thinking. Among the interesting things he discussed. 2. That it's hard to know how many actual farmers are out there, but it's a very small number. 3. That we could clean up farming a lot by pricing externalities [also see], or out-right banning of the most heinous practices, but that doesn't mean we're going to go back to the small farms of the pre-industrial era, or anything close to it. There's enough to offend and ingratiate most everyones preconceived ideas in some small way, but mostly on the mark, I think. Angus Deaton just won the Nobel Prize in economics. He's a brilliant, famous economist who is known for many contributions. In graduate school I discovered a bunch of his papers and studied them carefully. He is a clear and meticulous writer which made it easy for me to learn a lot of technical machinery, like stochastic dynamic programming. His care and creativity in statistical matters, and linking data to theory, was especially inspiring. His papers with Christina Paxson inspired me to think long and hard about all the different ways economists might exploit weather as an instrument for identifying important economic phenomena. One important set of contributions about which I've seen little mention concerns a body of work on commodity prices that he did in collaboration with Guy Laroque. This is really important research, and I think that many of those who do agricultural economics and climate change might have missed some of its implications, if they are aware of it at all. These papers are quite technical and the concluding autocorrelation puzzle is likely to put most economists, and surely all non-economists, into a deep slumber. Who cares? Undoubtedly, a lot of the fascination with these papers was about technique. They were written in the generation following discovery of GMM (generalized method of moments) as a way to estimate models centered on rational expectations, models in which iid errors can have an at least somewhat tangible interpretation as unpredictable "expectation errors." But here's the thing: the elasticities of supply and demand are really what's critical for thinking about implications of policies, especially those that can affect supply or demand on a large scale, like ethanol mandates and climate change. Anyone who read and digested Deaton and Laroque and knew the stylized facts about corn prices knew that the ethanol subsidies and mandates were going to cause food prices to spike, maybe a whole lot. But no one doing policy analysis in those areas paid any attention. Estimated elasticities regularly published in the AJAE for food commodities are typically orders of magnitude larger than are possible given what is plainly clear in price behavior, and the authors typically appear oblivious to the paradox. Also, if you like to think carefully about identification, it's easy to be skeptical of the larger estimated elasticities. Sorry aggies--I'm knocking you pretty hard here and I think it's deserved. I gather there are similar problems in other corners of the literature, say mineral and energy economics. And it turns out that the autocorrelation puzzle may not be as large a puzzle as Deaton and Laroque let on. For one, a little refinement of their technique can give rise to greater price autocorrelation, a refinement that also implies even more inelastic supply and demand. Another simple way to reconcile theory and data is to allow for so-called ``convenience yields," which basically amounts to negative storage costs when inventories are low. Negative storage costs don't make sense on their face, but might actually reflect the fact that in any one location---where stores are actually held---prices or the marginal value of commodities can be a lot more volatile than posted prices in a market. Similar puzzles of positive storage when spot prices exceed futures prices can be similarly explained---there might be a lot of uncertain variability in time and space that sit between stored inventories and futures deliveries. 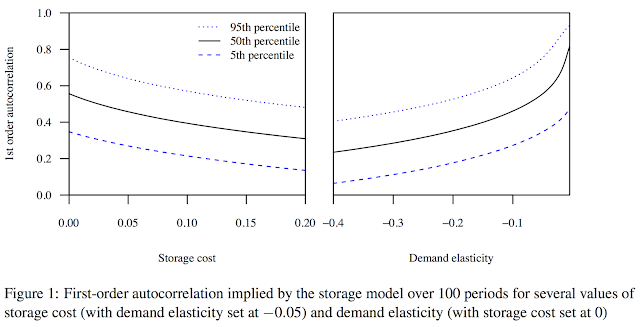 The graph below, from this recent paper by Gouel and Legrand, uses updated techniques to show how inelastic demand needs to be to obtain high price autocorrelation, as we observe in the data (typically well above 0.6). Adding bells and whistles to the basic theory easily reconciles the puzzle, but only strengthens the conclusion that demand and supply of commodities are extremely steep. And that basic conclusion should make people a little more thoughtful when it comes to thinking about implications of policies and about the potential impacts of climate change, which could greatly disrupt supply of food commodities. ASIDE 1: Papers like Deaton's differ from most of the work that fills up the journals these days. Today we see a lot more empirical work than in the past, but most of this work is nearly atheoretical, at least relative to Deaton's. It most typically follows what David Card describes as ``the design-based approach." I don't think that's bad change. But I think there's a lot of value in the kind of work Deaton did, too. ASIDE 2: The canonical model that Deaton and Laroque use, and much of the subsequent literature, has a perfectly inelastic supply curve that shifts randomly with the weather and a fixed demand curve. This is because, using only prices, one cannot identify both demand and supply. Thus, the estimated demand elasticities embody both demand and supply. And since that one elasticity is clearly very inelastic it also implies the sum of the two elasticities is very inelastic. ASIDE 3: Lots of people draw conclusions lightly as if they are obvious without really thinking carefully about lies beneath. Not Angus Deaton.